A real leather band for 6 percent of what Apple charges? A silicone sport band for $15? We're sold. 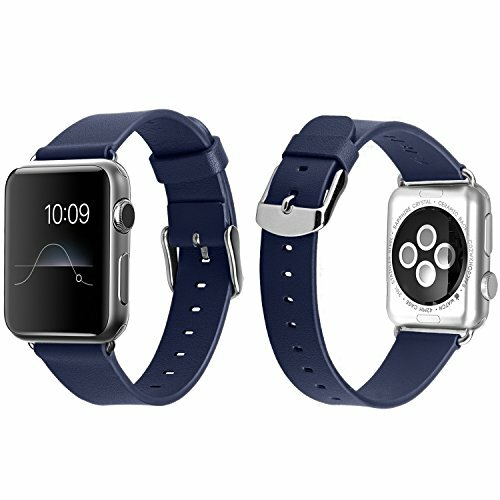 Apple Watch bands sold by Apple are always top quality, but they’re also quite expensive. Third-party bands are a lot cheaper, of course, but you might wonder if you’re going to get what you pay for—a poorly made band that falls apart. We looked at a few dozen third-party bands from well-known and lesser-known sellers, and these are our favorites in each category. 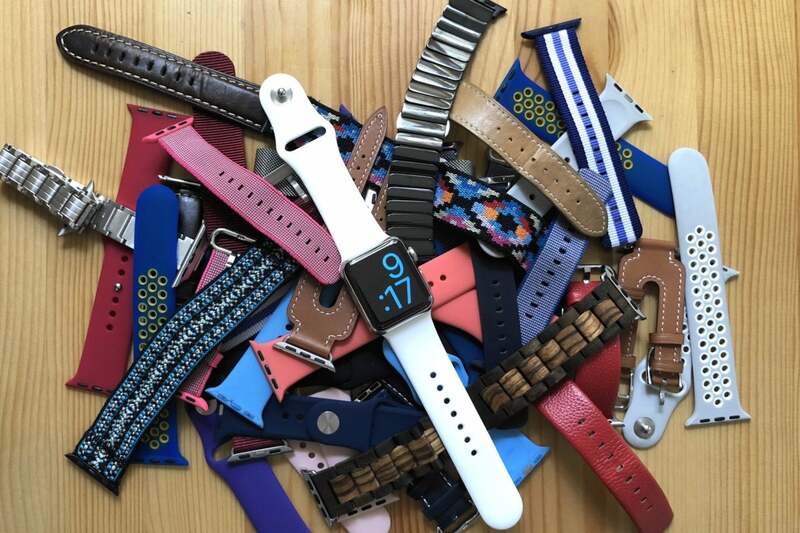 Of course, there are plenty more bands we’ve yet to test, so this article will be updated as we find more straps worth your money. Silicone bands are perfect for exercising, and comfortable enough for all-day wear. Apple refreshes its color selection periodically, but the $49 price has never budged. We’ve been happy with sub-$10 bands from small sellers on Amazon, but they don’t seem to stick around very long, unlike these, from more established companies. These Maison + Cour bands are made of food-grade silicone that doesn’t smell weird or itch—they feel just like Apple’s Sport Bands, but they cost $15 each, and you can get a complete set of all eight colors for $45 MSRP. The only catch is that you have to pick S/M or M/L as well as 38mm or 44mm, so if you’re splitting the multipack with a friend you better have the same size wrists as well as the same size watch. The fashionable colors look great: pink sand, cobalt blue, rose red, soft white, fog, midnight blue, ultra violet, and black. We had problems with the durability of Epic’s $18 Sport Silicone Band, but for a couple bucks more, the thicker Active Silicone Band holds up a lot better to abuse while still feeling soft on a wrist. It comes in a whole bunch of two-color combinations, from the loud to the more subdued. 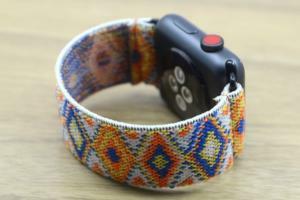 Woven nylon bands have kind of a rugged look—they remind us of old Swiss Army watches—but you can get them in lots of bright colors and patterns too. Apple’s are $49, but you can find a similar nylon strap for less. Amazon has some rock-bottom prices, but the ones we’ve tested so far just weren’t high-quality enough to recommend—we’ll keep hunting. Incase’s Nylon Nato Band comes in four muted solid colors, and it’s a lot more rugged looking than the brightly colored and patterened bands you’d see in the Apple Store. The stainless steel buckle fits nicely, and the long end of the strap is very long. The idea is that you can loop the excess back and tuck it under the two steel loops again, but it's long enough to make us want to trim the thing. Still, this is a grown-up nylon band with a lot of quality for $10 less than Apple’s multi-toned selections. Epic’s selection of nylon bands echoes Apple’s look, and comes in 20 color combinations including bright solids and stripes for $30. 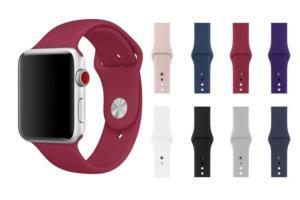 The rounded metal buckle, matching nylon loop to hold the extra strap, and colored lugs look just like the ones on Apple’s bands, and the strap is comfortable and seems like it’ll hold up to long-term wear. 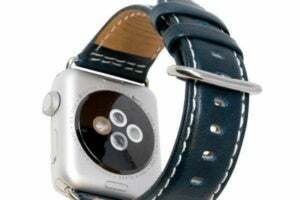 A leather band can dress up your Apple Watch, or just help it straddle the line between traditional and modern—you know, for a smartwatch. Plus, like a leather iPhone case, the scruffs and wear it picks up with use can make it even more attractive. Just remember to switch to a sport band for heavy workouts, and certainly for swimming. We bought this simple J&D Genuine Leather band on Amazon a year ago, and it’s held up beautifully during that time. The leather isn’t thick or padded, but it’s got a clean, simple look, handsome colors, and plenty of quality for just $9. 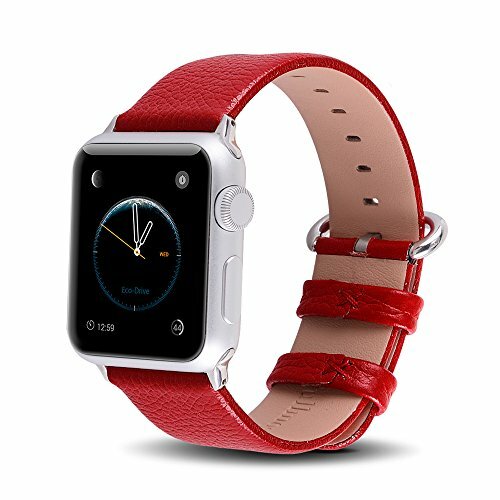 Fullmosa’s leather band is still for sale on Amazon more than a year after we bought it, and it still looks brand-new, even after frequent use. The leather has a pebbled look, and while the top of the strap is glued to the lining rather than stitched, the whole thing looks far more expensive than its $15 price. It comes in tons of color combinations, including multiple options for lugs and buckles, too. We also have to give a shout-out to Epic’s leather bands, which cost a little more but have thick, luxurious padding, excellent stitching, and an overall professional look. The $35 Classic Leather comes in six colors, while the $40 Vintage Leather has 10 variations, including two expensive-looking croc patterns, and sports a handsome oversized buckle. A metal band is the easiest way to dress up an Apple Watch for fancy occasions, but you don’t have to pay a caviar price. When you’re shopping, keep in mind that many metal bands need adjustment, so look for links that are easy to add and remove—if a company includes a little tool and provides video instructions, so much the better. If you don’t want to take that on, bring the watch and band to a local jeweler and they can help you. 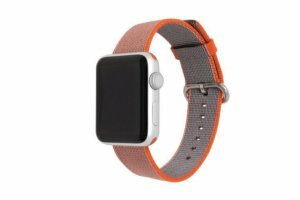 A Milanese loop is a great choice if you’re after comfort, or just to avoid the hassle of getting your band fitted correctly. The magnetic closure snaps down anywhere on the band, so you can tighten or loosen it to the exact place you want. The magnet on Epic’s $50 Milanese Loop is plenty strong and kept this band firmly in place during testing. At first the rainbow color can seem offputting (10 colors are available in all, including two camo shades! ), but it quickly grew on us—the effect is more subtle in person. 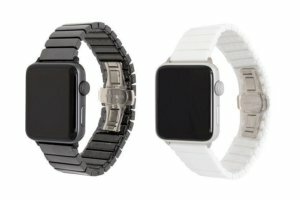 Epic makes a handsome $50 Stainless Steel band as well, but the Ceramic band looks amazing, shiny and expensive yet classy and understated, available in black or white. Epic includes a tool to remove the spring-loaded links from the watch yourself—it’s very easy if you follow the video instructions—or you can have a jeweler adjust the size for you. Sometimes you want something a little off the beaten path, and watch band creators have come up with unique designs just for you. 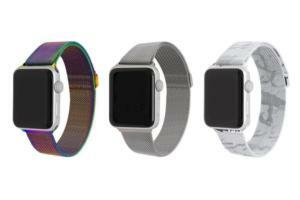 Tefeca has a novel approach—these $25 Elastic Apple Watch bands have no closure. You just slide them on. It’s important to order the right size, and at first the watch felt a little loose, but the band held it in place beautifully. We love the bright patterns, but they come in a few solids too, and the soft, stretchy bands are perhaps the most comfortable we’ve ever worn. Timber! 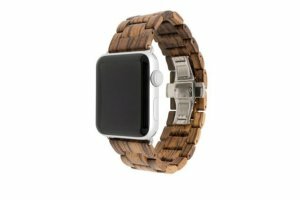 Epic’s $70 Natural Wood bands are built like a metal link band with a stainless-steel butterfly clasp, only the links are wood. That means you have to adjust the fit to your wrist, but Epic includes tools and has an easy-to-follow instructional video online. The lugs are sturdy, and the bracelet is light and comfortable—plus it’s quite the head-turner. When evaluating a third-party band, it’s all about durability. Put it on and give it a good tug from the top and bottom. The usual fail points would be where the band meets the lugs. Look closely to make sure the lugs line up snugly with the edges of the watch, too. Silicone bands, since they’re the cheapest, are the most prone to shoddy construction. With a nylon band, be sure to examine the stitching, and whether the edges look frayed. When you’re choosing a leather band, you want comfort, and something you think looks good as far as color and stitching. Avoid anything that looks too plasticky. Metal bands often require size adjustment, so check to see if the company provides tools and video instructions for adding and removing extra links, unless you plan to take your band to a local jeweler for fitting. Always look for quality materials, like stainless steel buckles and clasps. And if you’re spending a little more money, it’s worth checking out the store’s return policy, too. It’s probably not worth the hassle to return a sub-$10 silicone band, especially if you’d have to mail it overseas, but if you’re shelling out for a metal or leather band, a good return policy gives you extra peace of mind.